I absolutely love the focus here at Faithful Provisions this summer. 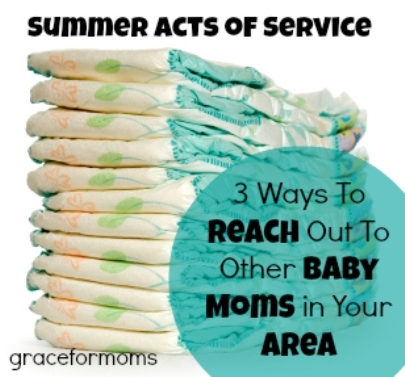 If you have itty bitty ones at home though, you may be wondering how you can participate in these Summer Acts of Service with an infant in tow. There are many, simple ways you too can reach out to those around you and even “involve” your littlest one in the process. Here are three ideas for reaching out to other baby moms in your community. 1. Offer to keep a neighbor’s kids so she can have 2-3 hours to herself. I know, I know. It may be daunting to think of keeping your neighbor’s children on top of your own – especially if you have an infant – but a few hours of chaos will be worth the blessing you will bring to your friend. I can assure you that grace will abound if you sacrifice to help another mom in this way. 2. Collect unused or new diapers/formula in your community and donate to a local ministry. Reach out to other moms in your area via Facebook or at a local church or playgroup. Coordinate a diaper/formula drive and give your collection to other moms in need in your community. If you are not aware of this type of need in your area, ask around to local churches or at the YMCA. 3. Gather excess toys/books from your home to give to a local church/preschool. As you play with your little one in his/her room, the playroom or family room, go through each room and purge excess toys and books. Not only will you be de-cluttering your space, you’ll be blessing a ministry with your abundance. Gather toys and books into bins and drop them by a local church or preschool. Go the extra mile and ask around first to see if the ministries in your area are in need of anything specific. 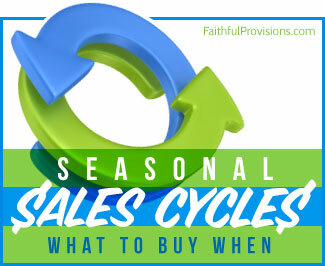 The very act of focusing your service on women who are in the same season as you, will connect your heart to theirs and become a tremendous blessing to you both. 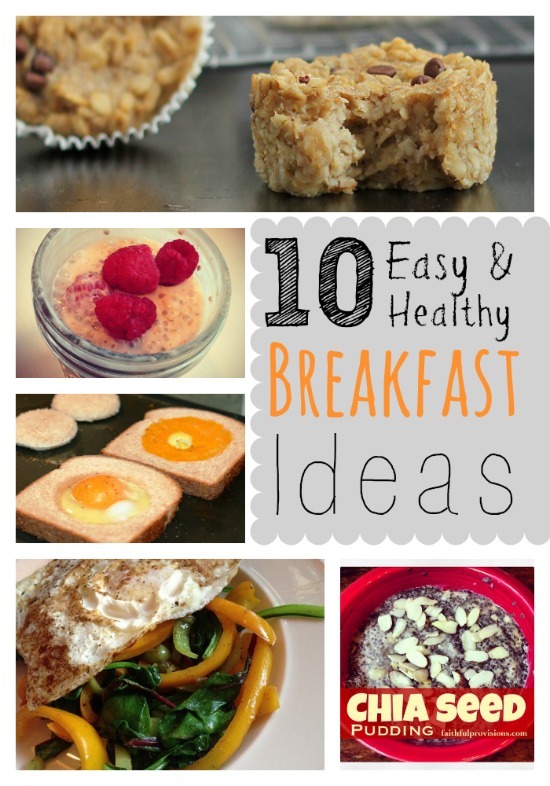 Submitted by Jessica Wolstenholm, blogger and author of The Pregnancy Companion and The Baby Companion books. You can connect with Jessica at Grace for Moms where she encourages moms to grab hold of grace in the midst of the joys and craziness of motherhood.